Here's another Book Photo Sunday. 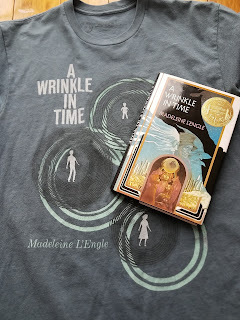 Book photo Sunday is hosted by Rabbit Ears Book Blog. This Sundays Photo is my favorite children's book. It was one of the first ever books I read for fun. Oooh! A Wrinkle in Time! I need to read that book someday!